The cost of injury, damage and theft are the last things golfers want to worry about when they step onto the course. The financial implications of a mis-hit have never been greater. The case where both a golfer and the club were found liable for nearly £400,000 following an accident that resulted in a player losing the sight in one eye, was a warning to all golfers. Given that every year 12,000 golf injuries require hospital treatment, it’s incredible that an estimated nine out of 10 golfers still don’t have specialist golf insurance. 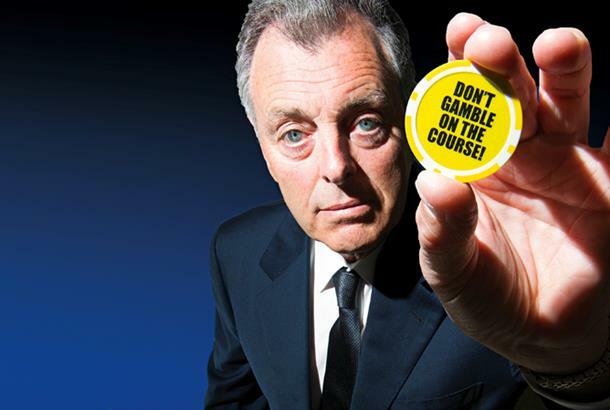 We spoke to former Ryder Cup Captain Bernard Gallacher on his advice for limiting golfers’ risks of causing or being subject to an accident. He said: “No matter what level of golfer you are, everybody has a bad day and hits a poor shot so accidents can happen to anyone. It’s common sense, but always look around you to check where your fellow golfers are, particularly checking on the whereabouts of novice golfers or anyone that may be slightly hidden from view such as by a golf buggy or trees. “Remaining calm and focused can help avoid mis-hits. I know from experience that when we get frustrated with ourselves, mistakes can happen. But I assure you that you’ll play better if you can keep relaxed. And it’s not just injury that can cost a golfer. A more common occurrence is the theft of golf equipment and with the average golf bag and its contents worth around £1,500, it’s an attractive target for thieves hanging around car parks and clubhouses. Recently two men were jailed at Birmingham Crown Court for stealing £750,000 worth of golf equipment from clubs across the UK. The duo masqueraded as genuine golfers, chatting to other players and duping members of staff, before stealing bags. Many golfers assume they are covered by their household policies, but a household insurance is just that, not a specialist golf policy. Some household policies will allow the policy holder to specify golf equipment as an add-on, but an extra premium often needs to be paid, which is higher than a specialist golf insurance policy and won’t provide the same level of cover. Golf Care is giving Today’s Golfer readers an offer which includes 30 per cent off the standard price of a policy, three free rounds of golf plus a limited edition “Poker Chip” ball marker for just £22.99 a year. For more information, visit the Golf Care insurance website.